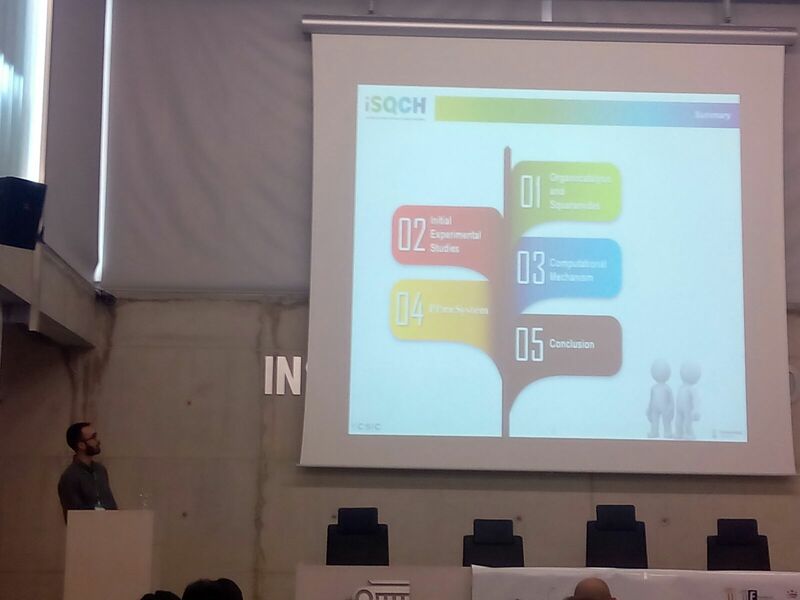 HOCA PhD students joined last week, the XIV Simposio de Investigadores Jóvenes de la RSEQ, celebrated in Badajoz (Spain). Juanvi gave a talk about “PUSH-PULL” π+/π- (PPππ) SYSTEMS: A NEW TYPE OF INTERACTION SYSTEM IN CATALYSIS. 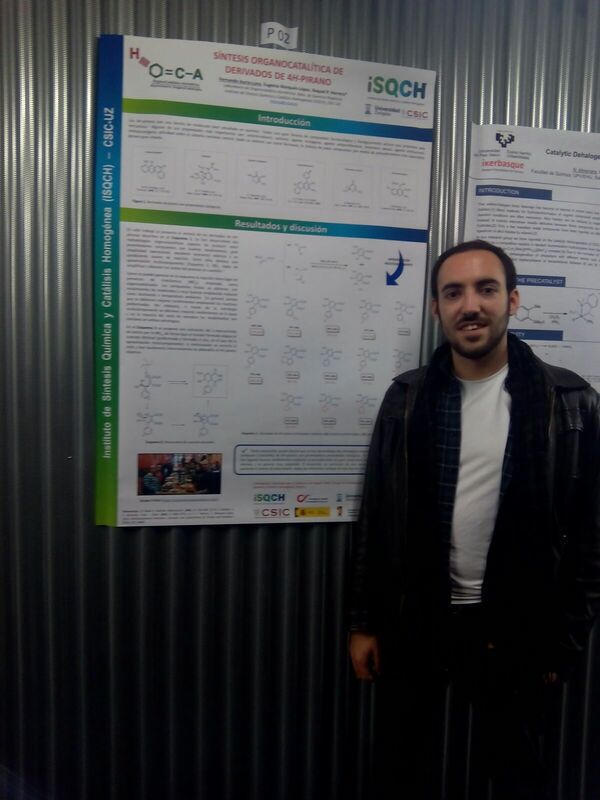 Fernando and Isaac presented their posters about ORGANOCATALYTIC SYNTHESIS OF 4H-PYRAN DERIVATIVES and SYNTHESIS OF ENANTIOMERICALLY ENRICHED β-NITROHYDRAZIDAS, respectively. 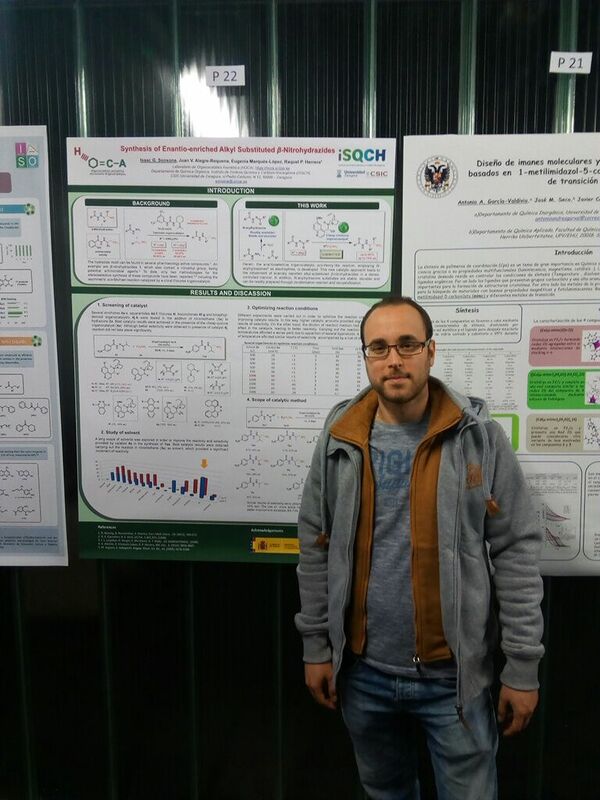 This entry was posted in Conference, Congress, Meeting and tagged 2017, Conference, Congress, Fernando Auria-Luna, Isaac G. Sonsona, β-Nitrohydrazidas, Juan V. Alegre-Requena, Poster, Pyran, RSEQ, Squaramide, Symposium, XIV Simposio de Investigadores Jóvenes de la RSEQ. Bookmark the permalink.